Keeps track of rows and stitches. 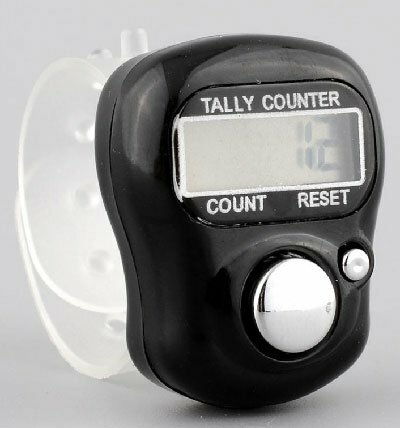 Flexible adjustable strap fits most fingers with large number read out. Replaceable 2-year battery.